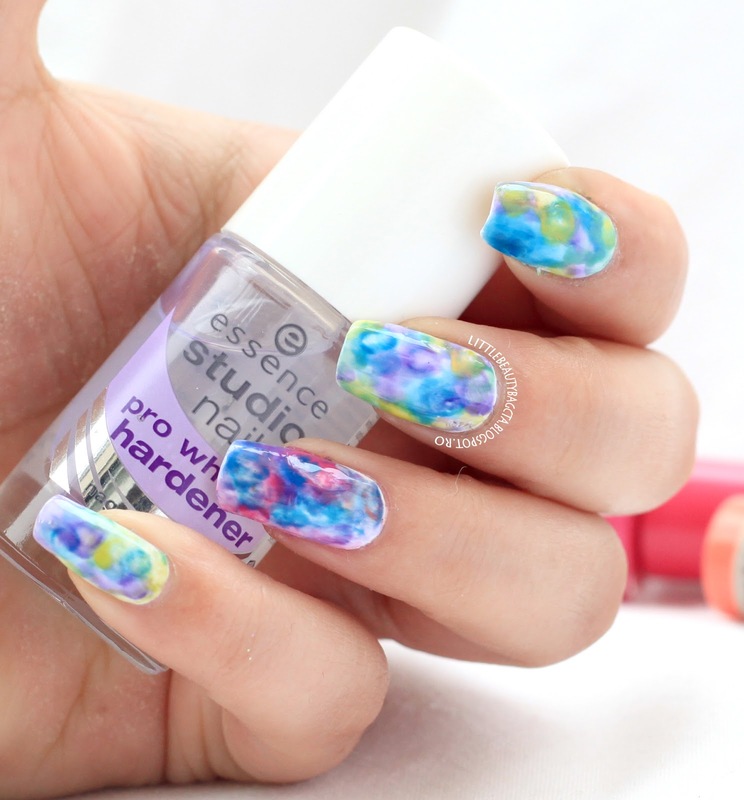 I know I said that every Friday I’m going to do a nail art tutorial and last Friday I didn’t do it, but here it is and sorry for the delay. Most of the nail polishes used are from Essence only the white one is from Sally Hansen. 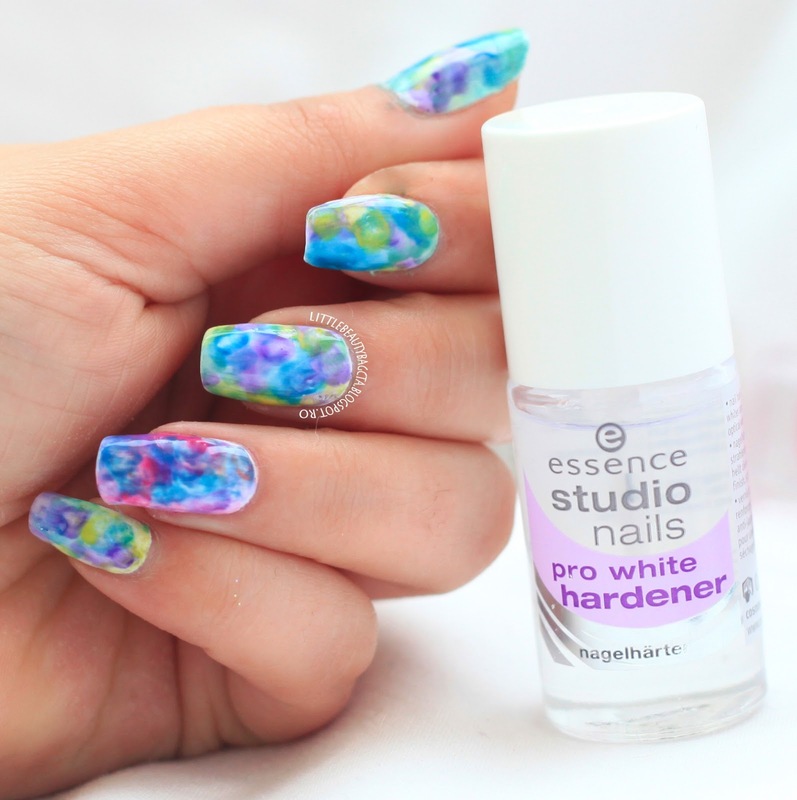 For this nail art you’re going to need a small flat nail brush and some pure acetone ( I used nail polish thinner )…I don’t know if it works with regluar nail polish remover but you can try. And here you have the tutorial. Enjoy! PS: Question: Glitter nail polish or regular nail polish? Please tell which one is your favorite in a comment below! Next Post 13. 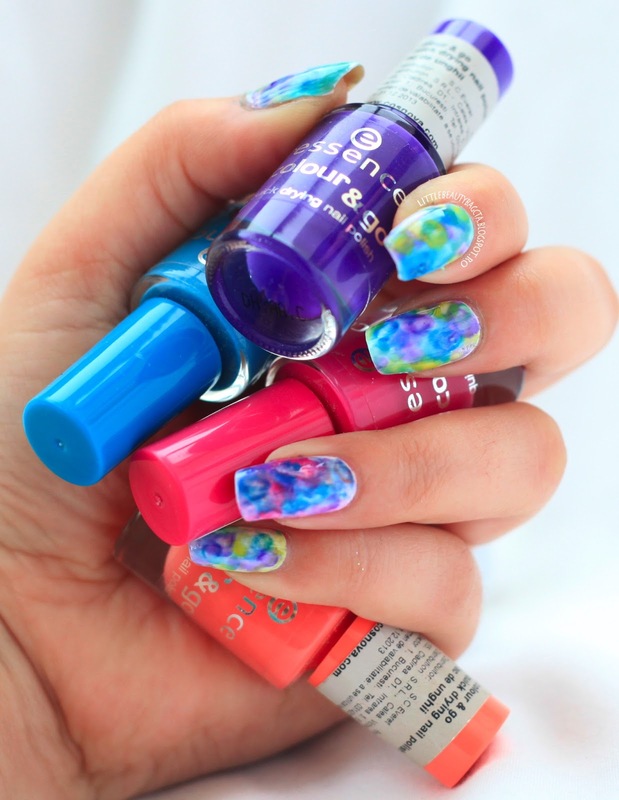 Blue Nails – 31 Themes Collab. Trbuie sa incerc si eu. Arata minunat ! Sunt foarte frumoase unghiile si arata foarte interesant. Tutorialul este superb. Felicitari. Iar modelul acesta imi place foarte mult. Nu iti trebuie foarte multa indemanare, asa ca e usor de realizat si pentru cele care nu se descurca asa bine cu pictatul unghiilor. I really love how vibrant all the colors are! Truly spectacular! Oh love it! I have to try this! 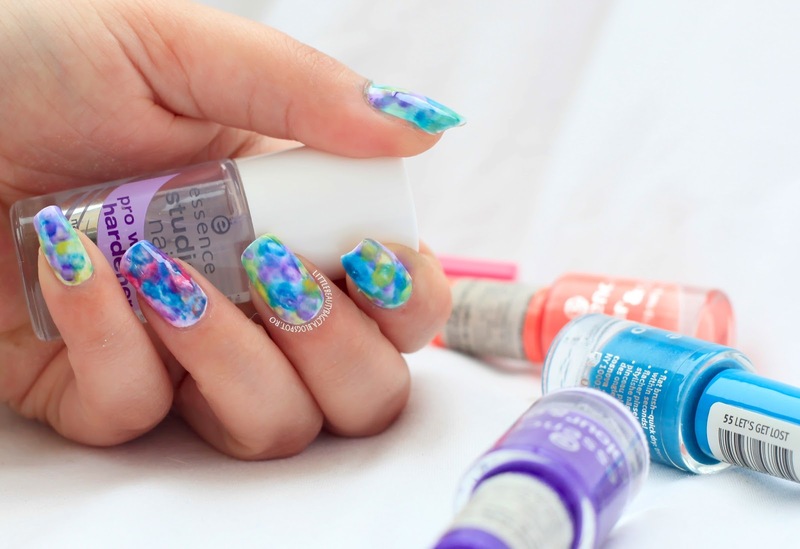 Regular nail polish… Cea cu glitter se sterge foarte greu:(… Ai vreun truc ca sa o stergi mai repede si usor? 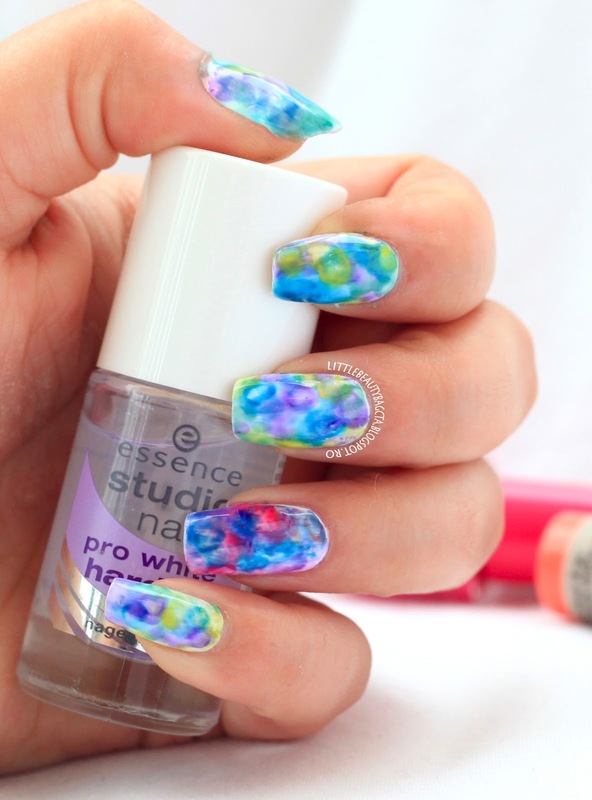 So beautiful water color mani! Manichiura este pur si simplu fabuloasa! O ador!!! !